Investing in your 401k plan or other retirement account is one of the easiest and best ways to prepare for retirement. These accounts offer an incredibly valuable tax advantage for investors. But there are limitations to these plans. Each year the IRS evaluates and releases updated 401k Plan Contribution Limits. These limit is the maximum you can contribute based on your age. While the IRS won’t increase contribution limits every year, they also won’t decrease the contribution limits either. At worst, contribution limits will remain stagnant. How Much Can I Contribute to my 401k in 2019? IRA or 401k? – Which is Better for Retirement Planning? The maximum employee deferral for 2019 is $19,000 per person. The employee deferral is the amount the employee can contribute to their 401k plan from their paycheck. There is also a maximum Catch-up Contribution of $6,000, which is only available to participants age 50 and over. 2019 saw a $500 increase for the maximum employee deferral over the 2018 tax year. This is the second increase in a row, after not seeing any increases since 2015. (See the chart below for historical 401k contribution limits). There was also a $1,000 increase to the Total Contribution Limit for 2019, which now comes to $56,000. The max deferred compensation includes employee contributions, matching contributions, bonuses, and other deferred compensation. (If you are over age 50, you can also add your catch-up contributions to this number, bringing the max total deferred contribution limit to $62,000 for 2019). Let’s take a look at all of these numbers in more detail and discuss what they mean for investors. How to read this chart: The following chart lists the maximum 401k plan contribution limits, along with the contribution limits from previous years. The number under the heading “Employee Contributions” applies to persons under age 50. “Catch-up Contributions” apply to people age 50 and over. The column labeled “Total Contribution Limit” is the maximum you can apply to your 401k plan in any given year if you are under age 50. This includes all possible contributions, including employee contributions, employer contributions, profit sharing, or any other allowable contributions. The final column is the total contribution limit from all sources for those who are age 50 or older. These contribution limits apply to more than just the 401(k) plan – they actually apply to several different retirement plans that are written into the tax code. These limits also apply to Individual 401k Plans (also called the Solo 401k; this is a small business retirement plan). It is worth looking into your specific plan as there may be slight differences you should be aware of, particularly when it comes to employer contribution rules, profit sharing, or other plan specific topics. TheMilitaryWallet.com covers Thrift Savings Plan contribution limits to discuss some of these examples as they apply to the Thrift Savings Plan, which is similar to a 401(k) plan but is only available to military members and certain government employees. These contribution limits also apply to the Roth and Traditional versions of the 401(k) plan and similar employer-sponsored retirement plans. If you are able to maximize your 401(k) contributions, you should be well on your way to setting yourself up for a solid retirement fund. There are two easy ways to determine how much to contribute to maximize your 401(k) account this year. Fixed contributions: If your company allows contributions of a flat dollar amount per month or per check, then simply contribute that amount from your paycheck. If you are under age 50, then you would be able to contribute up to $1,583.33 per month (or $791.66 if you are paid twice each month). If you are age 50 or over, you can contribute up to $2,083.33 per month, or $1,041.66 per check if you are paid twice per month. Remember, those are the numbers to max out your contributions. You can contribute less than that amount if that is what works with your budget. Percentage based contributions: If your company doesn’t allow you to make a flat rate contribution, then you will need to do a little math. To do this, divide the maximum you can contribute (either $19,000 or $25,000) by your total salary. The percentage you see is how much you should contribute every paycheck. For example, if you earn $100,000 per year and you can contribute up to $19,000 to your 401k, you need to contribute 19% of your salary ($19,000 / $100,000 = 19.0%). If you cannot afford to contribute up to the maximum, then try to at least contribute up to your employer match if your employer makes matching contributions. The employer match is part of your compensation package and is essentially free money. Not contributing up to this amount is like leaving free money on the table! You should be able to change your 401k contribution amount, your tax withholding, and other similar actions through your Human Resources Department. What about contributing too much to your 401k? There are annual contribution limits, so you will want to avoid contributing too much. The IRS will likely penalize you if you aren’t able to correct the problem by the end of the calendar year. Thankfully, many HR offices and 401k plans have systems in place that will either prevent over-contributions or will automatically refund the overage. However, those systems, by default, can only work if you remain employed by the same company for the entire year. You will want to pay special attention to the annual 401k contribution limitations if you change jobs during the year. If you do happen to contribute too much, I strongly recommend working with your HR department or 401k plan administrator as soon as you notice the issue. You may also want to consult with a tax professional to help you understand if there will be any long-term ramifications or if you will owe any additional taxes or penalties. Get professional help. There are tools out there that help employee’s get the most out of their defined contribution plans (e.g. 401(k), 403(b), 401(a), and thrift savings plans). Blooom is one example of this service. Blooom helps investors get a greater return on their investment by overseeing the account and analyzing additional money-making and/or money-saving opportunities that investors may not be aware of. If this interests you, head over to Blooom’s secure website to learn more. IRA or 401(k)? Another consideration when contributing to your 401(k) plan is whether or not you should contribute to it at the expense of contributing to a Roth or Traditional IRA. I covered this topic in a previous article – where should you invest first – IRA or 401(k)? In general, it is best to contribute enough to maximize any employer contributions you may be eligible for, then try to max out a Roth IRA if you are eligible to contribute. This gives you the best of both worlds when it comes to current and future taxes. Tax flexibility is an important retirement planning tool. Why Contribute to an IRA? For the most part, IRAs have similar tax rules as 401k plans. However, they have a few important benefits – namely, they are more flexible, as you control how and where your investments are made. This allows you more freedom and control over investment types, and more importantly, investment costs (this article covers what to do if your 401k plan has poor investment options). 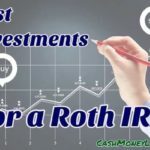 Roth IRAs also don’t have Required Minimum Distributions (RMDs), which exist in all 401k plans, including the Roth 401k. If you can afford to maximize both investments, then go for it! Here is more information regarding the IRA contribution limits. Whichever retirement plan you choose, you are doing the right thing by saving and investing for your retirement. Visit the IRS website for more details regarding 401k plans and other retirement plans. 2019 Maximum HSA Contribution Limits – How Much Can You Save for Your Medical Expenses? Where Do You Get the Best Roth IRA Rates? Interesting post Ryan. My company as a non-profit has a 403b, but they don’t match our contributions. However, lest anyone think I work for a stingy company, they have a pension plan that they pay into for each employee. I haven’t been doing any retirement investing in the past year. (I know … Shame on me!) I’m going to talk with my financial planner about starting an IRA. I’m thinking it would make more sense for me to invest in an IRA than the 403b, since there’s no matching money there. Any thoughts? Kristen: Pensions are awesome, and extremely rare these days. It’s a great thing you have one! I think you should invest additional funds for retirement because your pension + social security probably will not be enough to cover your retirement needs. I don’t know enough about your situation to recommend investing in an IRA over your 403b, so speaking with your financial advisor is your best bet. Definitely suggest meeting with your planner to see if the IRA makes sense and whether you should go the Traditional or Roth direction. I just hope your money is with my company! I reccomend the roths just b/c U wont have to worry about it later, but thats just my opinion. Generally a good idea to max out contributions if possible. The only caveat I have is to consider more than target retirment/401K funds. Just look at their performance over the last 3 years compared to regular 401K funds. I have a questions I’m hoping someone can answer. My company offers a match on contributions but you are only allowed to contribute a % based on salary. I get screwed because a large part of my income is from bonuses and commissions since I am in sales. My questions is can my company structure the 401K plan this way? Todd, Yes, a 401k plan is voluntary for the company and they can structure their 401k plan as they see fit. You can contact your HR department and ask if you are able to contribute a portion of your bonuses toward your 401k plan (some companies allow this). I am eligible for the catch up and evenly divided my contributions to take full advantage of the catch up. My employer matches up to a certain percentage but when I reached the base $16,500.00 limit before reaching the catch up, my employer’s match contributions stopped and I was told it won’t contribute anything more once the base amount is reached. therefore I lost out on over $1,000 in company match. Is this normal? Mark: your employer is being unfair. im our Plan administrator, and this seems to me like your plan admin isnt doing a good job. The reason we have this Plan at our firm is to attract, and retain quality staff. I view this as our best benefit, and it sounds to me that either your plan admin isnt informed, or someone is trying to skimp on the plan. In the end, it sounds like they will have at least one unhappy camper on their hands. you may have to ask your CFO or some other better informed corporate officer about this. what is the percentage limit on employer securities in a 401 (k) plan? There is no limit per se but new rules were passed in 2010 that require employers to offer diverse options (minimum of 3) in retirement plans. If you max out a 403b can you participate in the new 401k pension plan at work. The employer decided to go from a defined pension the the 401k style. I recommend double checking with your plan administrator or a financial planner. I believe your annual contributions are limited to a fixed amount across all employer sponsored retirement plans, but I am not 100% certain in this instance. I have seen conflicting information in 401K articles to a question I have. Perhaps someone can set me straight. My employer is quite generous as to 401K / retirement benefits. I will turn 50 this year. My question concerns the catch up provision and the “total contribution limit”. I plan to contribute the max individual contribution of $17K in 2012. My employer contribution when added to my individual contribution will bring my total contribution to $50K. My question is does the catch up provision act to increase the total contribution limit from $50,000 to $55,500 for individuals 50 and older. The chart in this article suggests not but I have seen other charts that suggest that the total contribution limit is increased to reflect the allowed catch up. Any clarity on this point is much appreciated. Tom, the Thrift Savings Plan (and 401k, 503b, and related employer sponsored retirement plans) are separate from IRAs. You should still be able to contribute the max amount to your IRA, provided you meet the income requirements. We cover this topic in the following article: how many retirement accounts can you have? I have a Traditional 401k at work I contribute to and a Roth401k that I contribute to. Both of these plans are through my employer. In addition to both of these accounts I want to contribute to a roth IRA with my online broker. Is that permissible ? I really want to sock away as much as I can for retirement. Absolutely, Matt. You can contribute to a Roth IRA in addition to an employer sponsored retirement plan (as long as your income allows you to contribute to a Roth IRA). Best of luck with your retirement investing! Thanks so much for this article. I will turn 50 at the end of 2015. I always max out my Roth 401k contribution. Can I distribute the increased contribution amount of $24k throughout 2015 or do I have to do a catchup contribution once I turn 50? Also, can I contribute the increased Roth IRA amount any time during 2015 or do I have to wait until my birthday? I would really appreciate the clarification. Greetings! Sorry for asking a question on an older article, but your responses are awesome… so I thought that I would give it a shot. I have about $50K in a traditional 401K that I started not too long ago and my employer now offers a Roth 401K as a plan option. I have the option of contributing to one or the other, or both. It looks as though I can move my $$ from the traditional 401K into the Roth 401K if I choose, but I would expect that I would be required to immediately pay the associated taxes on the $50K. I have about 25 years left to save and am wondering whether it would be best to continue with the traditional 401K or move everything over to the Roth 401K now while it’s still early-ish or split my contributions. What are the benefits or downside to splitting my contribitions. I have other investments in Real Estate… but now that I am in a more traditional work environment, I want to take the best approach to maximize my retirement savings. Thanks for any help you can provide! Ron, this is a great question, but one that is specific to your situation, and probably deserves a better answer than I can give you in a paragraph or two on a blog post. The best thing to do would be to meet with a financial planner and have an assessment done on your current financial situation, your long term goals, and have him or her help you build a plan to get there. To answer your questions: yes, if you transfer your traditional 401k into a Roth IRA, you would have to pay taxes on those funds. I can’t tell you if it is worth it or not, because I don’t know your entire financial situation, or whether you have the cash to pay the taxes now (you generally don’t want to pay taxes out of the invested funds because that taxes money out of a tax-sheltered environment). Should you invest in the Roth or Traditional going forward? Again, this is a long-term planning issue that a financial planner can help you answer. I’m a big fan of investing in Roth accounts because you never have to pay taxes on those funds again. But some people prefer to invest in a Traditional 401k due to the tax breaks they get now. Again, this is where a financial planner will come in handy. I recommend meeting with a fee-only financial planner if you are more of a DIY investor. They can help you make sense of everything and make sure you are on the right path. Here are tips for interviewing and hiring a financial planner. I hope this helps! Hello – I work for a small Tech company with about 15 employees and it looks like most employees don’t contribute to the company sponsored 401(k) plans (Roth and Traditional). As a result, the 4 or 5 of us contributing (mainly the ones with the highest incomes), have received checks for excess contributions, although in my case, my contribution was 35% below the employee contribution limit set by the IRS. Hi Stephan, it sounds like your company ran into he Highly Compensated Employee rule. This is something I’ve read about, but not an expert on. Here is an IRS article that discusses the rule, and one from Personal Capital that also discusses it. Right now the best I can recommend is reading more about this topic to verify this is indeed what happened. Then try to work with your HR department and management to try and find a way to prevent this from happening again. Best of luck! Our company 401k plan will not be implemented until Q4 of this year. Will employees be able to accelerate the payments and fully fund for the year? JoAnn, your 401k contributions must be made from your paycheck. So you can elect to put up to 100% of your pay (or close to it) into your 401k each pay period. But you won’t be able to save money throughout the year and write a check to fund your 401k. All contributions must be made directly from your paycheck. So if you want to fully fund your 401k, you will want to save cash in your savings account, and contribute most of your paycheck to your 401k during Q4. You would have to live off savings for those months while you contribute to your 401k. When the new year rolls around, you can change your contributions to a more reasonable percentage of your pay. Hope this helps. This website makes no sense. The annual maximum contribution is $18.5k and the over 50 catch up is $6k. So how does that equal $55k. You know it’s really much better to get the fundamental right than to get fancy! Ma, the $18,500 contribution limit and $6,000 catch-up contribution limit refer to the employee’s total contribution limit. This is the amount of salary the employee is legally eligible to defer from their payroll. The $55,000 annual limit refers to the total contribution limit through all sources of funding a 401k. This can include certain pay, bonuses, employer-matching contributions, etc. The most common additional method of funding a 401k is through employer matching contributions. For example, if an employer offers matching contributions and the employee maxes out their individual contribution limit of $18,500, the matching contributions would take that employee’s total 401k contributions for the year above $18,500. The amount of additional money an employee can defer through 401k contributions and deferrals varies based on many factors, including the employee’s salary, company policies, matching contribution limits, IRS rules, and the employee’s ability to make additional contributions. The upper limit of $55,000 exists to prevent too much income from being tax deferred. Even though the 2018 total 401k contribution limit is $55,000, most employees never come close to maxing out the $55,000 annual limit for various reasons. But it can be done. The $55,000 total contribution limit or $61,000 total contribution limit with catch-up is achievable if your company allows you to contribute to your 401k on an after-tax basis and you have significant earned income to fund your 401k beyond the $18,500 or $24,500 (age 50 or older). Not all companies allow after-tax contributions once you reach the $18,500 ($24,500 age 50 or older) but your HR department can verify. Also, if you are self-employed and have a solo 401k you can contribute $18,500 ($24,500 if age 50 or older) as an employee and up to $36,500 as an employer (for a total of $55,000 or $61,000 if 50 or older) based on your net income. GOAL: Avoid “pay cut” at retirement. TRS PENSION – assuming average income of $70,000/year at time of retirement. -Each additional year of service adds $134/month, or $1,608/year. -In order to not take a pay cut from TRS in retirement without investment assistance, I would have to work 44 YEARS and retire at the age of 72. NO THANK YOU! 1.) Assume 7% average rate of return. Withdraw after 33 years with current plan. B. Contribute $200/month, yielding $294,370. Withdraw $22,466/year, make $80,414/year. C. Contribute $300/month, yielding $470,254. Withdraw $33,271/year, make $91,219/year. D. Contribute $400/month, yielding $622,965. Withdraw $44,075/year, make $102,023/year. I might also want to mention that we are having a baby in 6 weeks. That’s a pretty huge factor! Frank, it sounds like you are on the right path with your savings and investments. I don’t think you are saving too much. The more you save at a younger age, the longer you have for compound interest to work its magic and the less you have to save in your later years. Front-loading is almost always a good idea when it comes to investing. The only things I would recommend are making sure you have some money set aside for emergencies, and for your upcoming home purchase. Being a homeowner almost always comes with hidden or unexpected expenses. So having some savings set aside can help you be better prepared for those unknown expenses. Congratulations on your upcoming child, and best wishes with your savings and investments! Example: S corp Salary = 30,000 with an employee contribution of 24,500- (18,500 employee contribution plus a catch up contribution of 6,000). Can I do an employer profit sharing contribution of 7,500 or am I limited to 5,500 (30,000 – 24,500) which would be 100% of salary.